It’s a mini chicken parm…in side an over-sized garlic knot. I was considering writing a lengthy endorsement filled with a cornucopia of colorful, graphic and drool worthy descriptors, but I think that opening sentence really delivers everything it needs to. If you’re not into chicken parm or garlic knots, you can immediately turn away. If these are items that get your cravings kicking into gear, the pure marriage of these two items should drive enough desire to want one. The fact that you’re tuning into my words and photographical delivery of the existence of this item means we’ve built some trust. In other words, if I’m sharing it, I’m endorsing it and that’s what you expect from me. So if that sentence does what it’s intended to do, you’re already planning a visit to Hold My Knots at Urbanspace Broadway Bites. 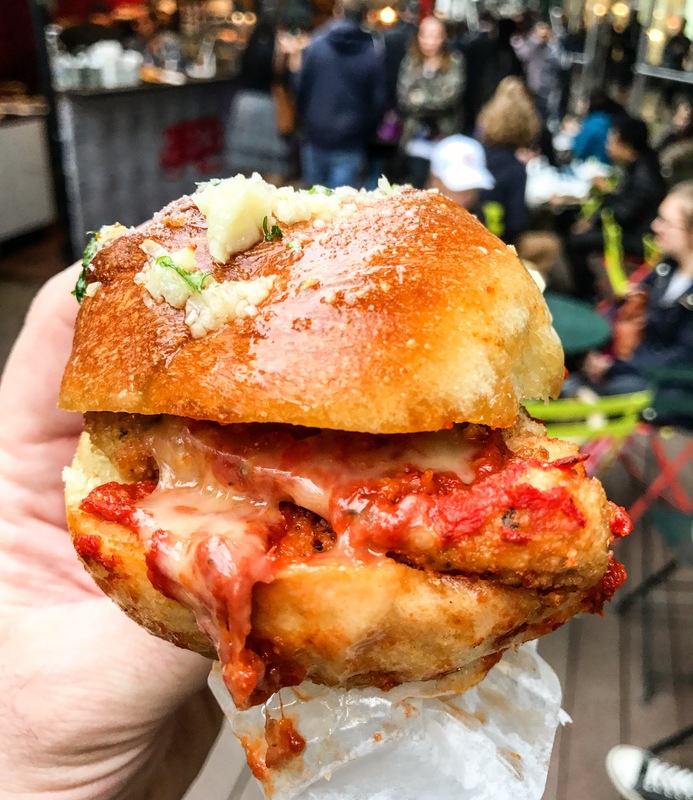 This entry was posted in New York and tagged broadway bites, chicken parm, garlic knot, hold my knots, nyc, urbanspace. Bookmark the permalink.